During the early years of his stay at Pondicherry, Sri Aurobindo used to have informal conversations with people who would come to visit him. These talks, which were held after the evening meditation at 4 o’clock in the evening, depended on the leisure hours of Sri Aurobindo. From 1918 to 1922 these conversations took place on the verandah in the first floor of the ‘Guest House’ situated at 41 Rue François Martin Street. In October 1922 he shifted to 9 Rue de la Marine and accordingly the venue of the conversations too shifted. This house was known as the ‘Library House’ and here too the talks began soon after the half-an-hour long evening meditation ended. The visitors as well as Sri Aurobindo’s disciples could ask him any question that occurred to them. The topics of the conversations covered a diversified range of subjects which included not only politics, yoga or spirituality but art, poetry, literature, medicines, education-system and psychology to name a few. These talks came to be known as ‘Evening Talks’ since they were held in the evening. Among the notable participants of the evening talks were Anilbaran Roy (1890—1974), the renowned leader of the Congress Party. Having made a name for himself as a brilliant professor of philosophy, he joined the Non-Cooperation Movement in 1921. When Chittaranjan Das was the President of Bengal Provincial Congress, he served as its Secretary. Sri Aurobindo’s book Essays on the Gita had deeply influenced him; he accepted Sri Aurobindo as Krishna incarnate and wrote to Sri Aurobindo seeking his permission to translate Essays on the Gita into Bengali. Sri Aurobindo sent his written consent and added that Anilbaran was the competent person for the work. As a matter of fact, one of the best interpretations of the Gita in the light of Sri Aurobindo has come from the pen of Anilbaran. A regular correspondence followed through which Sri Aurobindo gave him directions in the path of yoga. After the untimely demise of C.R. Das, Anilbaran became the undisputed leader of Congress in Bengal. At this point of time, Sri Aurobindo wrote to him asking him to leave politics and pursue the path of yoga at Pondicherry. Anilbaran was not quite willing to leave his political career and insisted Sri Aurobindo to guide him in the path of sadhana through epistolary communications. Sri Aurobindo flatly refused and wrote back that if Anilbaran was desirous to follow the yoga mentioned in the Gita then he was welcome to go ahead in his political career but he must not expect any help from Sri Aurobindo; but if he sincerely craved to follow the path of Integral Yoga then he could surely expect to receive Sri Aurobindo’s guidance but for that he would have to leave politics. Anilbaran went to Pondicherry in May 1926 and Sri Aurobindo not only granted him a number of personal interviews but also allowed him to be present during his evening talks. When Anilbaran asked Sri Aurobindo about the freedom of India, he replied: “The independence of India is a thing decreed.” At the same time, he informed Anilbaran that though the Indians did not deserve independence they would definitely get it. [Anilbaran Roy, Purushottam Sri Aurobindo, p. 4] Anilbaran stayed in Pondicherry for five months and was present on 15 August 1926 when Sri Aurobindo’s fifty-fourth birthday was celebrated. He left Pondicherry on 1 October and after leaving his political career returned to Pondicherry on 10 December 1926. By that time Sri Aurobindo had retired and the Mother had taken charge of the newly-formed nucleus of the Aurobindonian community. He was to remain in Pondicherry till April 1966 and emerge as one of the brightest sadhaks of the Integral Yoga. Between May and September 1926, Anilbaran Roy had a series of personal interviews with Sri Aurobindo. These interviews have been published in the online forum of Overman Foundation. We take the opportunity to thank Shri Debranjan Chatterjee, Librarian of Sri Aurobindo Ashram Library and Shri Raman Reddy of Sri Aurobindo Ashram Archives and Research Department for helping us to collect these interviews. Sri Aurobindo: At what stage are you? How far? Anilbaran: Can’t make out clearly. Sri Aurobindo: Why? Tell me what is happening. Anilbaran: When I was in the jail I got a contact of peace of sorts, — I used to receive different lights from above. That was quite a joy. Having come out of the jail everything has got muddled up due to the shocks of the external world. As far as I see it, nothing can be realized in the midst of this confusion. Sri Aurobindo: Why don’t you step aside from all these? You say you had an experience of peace in the jail; can you tell me what sort of peace was that? Was it only mental or something else? Anilbaran: I can’t tell you definitely but this much I can say that I experienced peace to a good extent. Sri Aurobindo: How did this peace come? Anilbaran: I used to think that all was being done by the Nature — Prakriti — and I made an effort to be a witness of everything and this was sufficient to give me peace. Sri Aurobindo: You are talking about the process of separation of Purusha and Prakriti as given in the Gita. Well, what about the light that used to come from above — was it coming from inside or from outside? Anilbaran: I thought it came from inside. Sri Aurobindo: What comes from outside, one mistakes it as coming from inside. So many thoughts etc. move about outside in the universal — these manifest inside you. All these you must push away as foreign to you and the inside must be made peaceful, calm and quiet; then it will start descending from above. Anilbaran: Two things make me very restless: first, a sense of duty towards my family. My wife and children are going through all sorts of suffering due to my negligence. Sri Aurobindo: You won’t be able to help them anyway. Only, while trying to do them good you will bring harm to yourself. Don’t consider them as your own, see them as so many souls (struggling for self-manifestation). Anilbaran: All right, I shall try to see them as such. I shall no more worry about them. This idea of duty troubles us a lot. Sri Aurobindo: Yes, it is difficult for man to cross beyond the idea of duty. Anilbaran: I have one more difficulty — the pull of the lower vital. It troubles me a great deal. Under its pressure I may suddenly do something — can’t trust myself. Sri Aurobindo: So much! What are you doing to control it? Anilbaran: I try to control it by mental will. Sometimes there is no desire to control it and I allow it a short play. But it cannot overpower me. Sri Aurobindo: It cannot overpower? Sri Aurobindo: With the mental will you can suppress it temporarily but that does not bring real mastery. This pull shows that you have a strong vital force — this has to be regenerated. All thoughts, desires, conventions, attachments which come from outside must be ruthlessly pushed away. The inside must be made entirely calm and quiet and there should reign an upward aspiration — a state of awaiting. Anilbaran: If this is done, will the mind become completely vacant? Sri Aurobindo: The mind will remain still but it won’t lose its power. Look! once I was to go to the Surat Congress and one who taught me this yoga instructed me to reject all thoughts coming from outside and establish an inner calmness. Accordingly, in three days I made my mind entirely vacant. Then I told him, what is this? I am here to give a speech at the Congress! He said, “Do not worry, everything will descend from above.” And that’s what happened. My mind remaining still and vacant, I used to speak out whatever came down from above. This is how I delivered speeches in so many places. This is also how I wrote in the Bande Mataram journal. How many days will you stay here? Anilbaran: I came here without any fixed idea about that. I think I’ll stay as long as it is necessary. I have left everything behind and laid all my stress on this yoga. I feel from within that I shall succeed. Sri Aurobindo: As a result of the Karma of your past life certain tendencies are causing obstructions. It will take time. Persevere, you may succeed. Why not? Anilbaran: Karma? You mean of my past activities? Sri Aurobindo: Yes, that of course but also the consequences of your previous birth… What is the pecuniary condition at your house? Anilbaran: So so! It is necessary that I earn some money. Sri Aurobindo: Everyone does not find it helpful to do sadhana from here. There are all kinds of people, and in the attempt to build up a solidarity among them, defects of each one affect all the others. It is for this reason that for many it is better to do sadhana all by oneself remaining away. You watch for a few days, do what I have asked you to do and then you meet me again and report. Anilbaran: Yes, sir! Once I have got your protection I am very confident that I shall get the realization. Anilbaran: I have done what you had advised me to do. I have got back the peace I found in the jail. All those things which I could not realize as coming from outside, now I perceive them as such — now I feel a great sense of quiet inside me. But I do not experience anything descending from above. Sri Aurobindo: Well, this quiet or peace, is it mental, — only negative or something positive? Anilbaran: I have a feeling that it is not merely mental. Sri Aurobindo: Apart from the mind do you feel this peace in the physical body also? Anilbaran: Yes, it is a positive peace, I feel it in my entire being. But nothing is descending from above — and I have no anxiety about it. I know it will surely come and I can wait indefinitely for it. The fact that I have left everything of my active life and that I am feeling peace and joy in the act of waiting for something unknown and uncertain —can this be ever possible due to a negative peace? Sri Aurobindo: From this it is clear that there is a seeking in your inner being. This is necessary for yoga. Do not be eager for things above. If you have this seeking and this peace, it will descend in its own time. Anilbaran: This waiting for something above — that which you call the Supermind — I have not the least idea of it. How to invoke a thing which is a mere zero to my mind? Sri Aurobindo: What is required is faith. Man has body, life and mind but that is not all that constitutes man. He has risen to the mind as a result of evolution. Now a higher consciousness will be evolved — this I call Supermind. It is the instrument of the Divine Consciousness, the Truth-Consciousness. There are three ways to call it down: to take a quiet resolution and wait, or to keep alive an aspiration, or to exert will-force. But there need not be no straining eagerness for it. In order to be a pure instrument of God one must attain to this Supermind. God does work through both pure and impure vessels but that does not mean that one should keep nature impure for ever. When the vessel will become pure the urge for action coming from within will be a flawless, definitive action. As long as that does not happen one has to minimize one’s activities. There should of course be left a field of work for the sake of experiment but at all times one must remember that there will always remain open a possibility of err. Anilbaran: What sort of work should one undertake? Sri Aurobindo: Whatever it may be — whatever is to one’s liking. You should exercise your intelligence and discretion in this matter but you must remember that it is only an experiment and that there are possibilities of committing many mistakes. Until you get a guidance from above you cannot be sure; but to get this guidance it requires time and sadhana. Anilbaran: It is this Supermind, I think, which will purify all layers of the being. Sri Aurobindo: Do you know about the Chakras — the Tantric Chakras? Sri Aurobindo: On the top of the head is a Chakra — Sahasradala or the thousand-petalled lotus. There is a Chakra in the middle of the forehead between the eyebrows and one in the heart-centre. The region between the navel and head constitutes the mental field. From navel downward extending till the terminus of the spinal chord, mūlādhāra, is the seat of the vital. At present concentrate on the mental field. The restlessness of the active mind is your chief obstacle now. After the mind becomes quiet you will have to deal with the vital plane. All these will come in course of time. How do you like Pondicherry? When are you going back? Anilbaran: I like it immensely. I get so much of peace and delight that I have no desire to leave this place and go back. It will be better if I could stay here. Sri Aurobindo: Well, you were saying that you would have to earn money for your family? Anilbaran: Let me see if I can do it from here only. I am no more that much worried about my family. The Divine will surely make some arrangements. I left my job during the non-cooperation movement in the same way. Sri Aurobindo: Stay here and see for some time and then if you should stay here permanently we shall have to rent a room for you. Sri Aurobindo: The Force which has to be called down from above must be pure and quiet because there are all kinds of forces — it will not do to call them all. And one must have sincerity. What do you want to do sadhana for? The aim should not be the satisfaction of egoism: “I want to be a great yogi; I shall have so much power and with that power I shall establish myself in the world.” All such thoughts must be thrown far away. One has to do sadhana for the total manifestation of the Divine in oneself. Sri Aurobindo: There is a veil between the Supermind above and the lower Prakriti below — the veil of ingrained formations. This veil may completely withdraw or be partially withdrawn. Thus even if there is some little opening, with the contact of Light from above the lower nature will get slowly changed. Even if the being is not entirely purified, varieties of inspirations and powers may come down from above but this may lead to serious errors. Inspirations from above mixing with the impurities from below get all muddled up and the sadhak takes this for an absolute command. Many a sadhak has thus fallen into danger. Therefore, one must particularly lay stress on the purification of the being. All desires and egoism will have to be banished from the being. Sri Aurobindo: The feeling of power which you experience, — is there a sense of vastness in it? Anilbaran: Well, no. What sort of vastness do you mean? Sri Aurobindo: The all-embracing vast being which is there behind the play of the universe and with which you will have to identify yourself — for this is your true self. Anilbaran: Am I there one with all? Anilbaran: In the last few days I have observed that the difficulties of which I spoke to you earlier, e.g. the downward pull of the vital being — all these now I understand to be not much of a problem. If I keep them aside they remain aside. But the attacks of my dynamic mind trouble me a great deal. They do not leave me, however much I try. Sri Aurobindo: Yes, that may be so! This is a very strong element in your nature. You will have first to focus attention on this. What sorts of thoughts come to you? Plans of all kinds? Anilbaran: Yes. I shall have to do this or do that, etc. Sri Aurobindo: From where do these thoughts come? Do they rise from inside or do they come from outside? Anilbaran: That I cannot discern. How can I differentiate? Sri Aurobindo: By observation. You do not now have this habit. Watch closely and see from where they come. Do not allow things to intrude from outside. Anilbaran: I can’t keep them away, however much I try. They simply overpower me. Sri Aurobindo: Persevere. Watch them — as soon as they come, throw them away. If inspite of everything they do not go away, let them have their play and you only watch them. Realize the separation, — the Purusha is quite separate from these workings. Your nature is very active, that is why you have to face so much of difficulty. Anilbaran: Yes, right from my childhood I have such an active nature. Sri Aurobindo: That is very good, but you will have to purify it. Now concentrate on this part of the being. Anilbaran: Yes, I shall do so. At home my relatives are a great deal worried. They are afraid that I may not return. My son is threatening to start a hunger-strike. He is clamouring that his father should be brought back. Sri Aurobindo: (With a smile) Yes, such things do happen. After having come to Pondicherry everything appeared fine as if it was a land of peace. The thought of having to leave this place soon used to pain me. My mind had prepared itself for a long time for coming to Pondicherry and this feeling of peace in the mind was the result of finding the desired object. But for some time now I get a feeling of suffocation and somehow I feel that to run away from here will be a blessing. The pull of the lower nature is showing itself powerfully. All kinds of ingenious suggestions to escape from here are rising in the mind: can’t the sadhana be done at home amidst my relatives? or else can’t another place be found for doing the same all by oneself? The idea that I shall have to stay here for good to do sadhana does not appear happy to me. There has been a slight change of mood since yesterday after the evening meditation. Now this is the firm resolution of the inner being that it will definitely rise above the lower nature and it is ready to stake everything for this. And for this, whatever command I receive from above I shall follow. If I fail to understand the command from above I shall proceed according to the instructions of Sri Aurobindo — it will all depend upon him. The above-mentioned phase of restlessness in the mind seems to have disappeared. I am beginning to feel sufficiently the atmosphere of sadhana here in Pondicherry. The other pulls are growing feeble. But still, I am not getting any clear hint from above about the place which I should choose as the seat of my sadhana. At the same time there is no call from inside to go away from Pondicherry. Anilbaran: The habit of my dynamic mind to go on spinning plans is still continuing — but now it is only around choosing a place for sadhana and the problem of earning money. Sri Aurobindo: Has the pull towards other types of activities decreased? Anilbaran: Yes. Thoughts about other works no more disturb me. I remain preoccupied with sadhana. But which place shall I choose for sadhana and from where shall I get the money for my expenses — these thoughts worry me a lot. Sri Aurobindo: So your main problem now is money. Yes, such is the way here. Everybody has to struggle for money. It does not come to this block* either. Anilbaran: But money is not my only problem; to select a place for sadhana is one more problem. Sri Aurobindo: Don’t you receive any guidance from above regarding this? Anilbaran: Of course the suggestions come, but I can’t discern which one of these comes from above. Sri Aurobindo: The expression “from above” is for us only a way of speaking. Many receive from above the command for action — we call it intuition. Anilbaran: I do get a hint of such commands. Sri Aurobindo: Mere hints won’t do — a clear command is needed. The person who had just now an interview with me is a chief of Gujarat — a minor chief. He is engaged in some sort of sadhana, but not in ours. He does meditation and has got an opening. He receives guidance for action from above, but cannot discern from where it comes. Nevertheless he receives it. Now, there was a man who dug a well but failed to get any water. This chief pointed out a place and said to him, “Dig here, and you are sure to get water.” Sands and rocks began to appear as he dug but he was asked to continue and ultimately water was truly found. Then the chief asked the man, “What do you want to cultivate after having dug the well here?” “Cotton”, said the farmer. “Sow the seeds on new moon day”, he told the farmer. Now, nobody sows the seeds on the last day of the dark fortnight. But the farmer did as he was asked and as a result he reaped that year a harvest better than anyone else. Having thus received a command and abandoning all hankering after fruits, one should do the work as an instrument. This is one way of doing work. But this is not the way of our yoga. We want to acquire the very power from which such commands come and organize it and not merely be the instruments, but instead, to cooperate with the power whose instruments we are. For this yoga it is necessary to abandon every kind of work. It will not do to work for philanthropic purposes. Some work has to be retained but only as a field of experiment. Under this condition we cannot be engaged in philanthropy. Anilbaran: I do not want to be engaged in philanthropy. I want to be engaged in this very yoga. Sri Aurobindo: If people pull you for work will you be able to resist? Anilbaran: Yes, I think I will be able to. Now it is necessary to select a place for my sadhana. I felt a lot of disturbance at home in my sadhana. There are two reasons for this: first, I took up the work of village organization on my shoulder. Secondly, I tried to cure my wife of her mental illness through affectionate behaviour, but I couldn’t do any good to her, rather I harmed myself. Now I shall get rid of both these obstacles. Of course, I never involved myself in family life, otherwise I could not have ventured to work for the country. I was getting suggestions right from inside the jail for doing sadhana by remaining with the family but in a detached condition. If I do sadhana there then there won’t be so much of financial strain. Sri Aurobindo: No financial strain? Anilbaran: No, I shall be there much more favourably placed. Sri Aurobindo: Wait for some time more and see if you get a happy solution. Anilbaran: All right! Now there is one more problem — the meeting of the Council for the amendment of B.T. Act. If it is passed it will lead to much disturbance. Sri Aurobindo: What is the situation regarding this? Will the Nationalists join hands with the Swarajists? Anilbaran: There is no certainty about this as yet. Sri Aurobindo: What sort of politics you people do? Such is the way of all parliaments: one can sense even beforehand the trend of voting, in which direction it will turn. Will there be a majority on the side of the government? Anilbaran: When Das was there one could have a definite idea about these things. Now the party remains disorganized and none is sure of his own intention. But if this bill is passed it will crush the middle class. Sri Aurobindo: So much the better for it! Given the present miserable condition, if it breaks down, perhaps it may be a blessing. It is no use asking me about it, for I have a very different opinion regarding this. Anilbaran: Now the question is, whether I should attend this meeting or not. The voters want that I should go and oppose it. They have nominated me and it is my duty to attend the meeting. Sri Aurobindo: Yes, yes, again it comes to that idea of duty. This is only a sentiment. Anilbaran: Yes, indeed! And I should have submitted my resignation. But I thought it was just a meeting and I did not want to create a row by submitting my resignation — hence this problem. Sri Aurobindo: You could attend if you were there. But now that you are here, can you discontinue this and go? Anilbaran: No, that can’t be. Sri Aurobindo: When is the meeting? Anilbaran: On the 6th July. If I should go there I must start on the 1st July from here. Sri Aurobindo: Well, I will see to it. Anilbaran: Distractions and doubts, when they are exposed to higher forces, get automatically solved. But I am unable to stop my mental activity; it continues even during the meditation. But then many ideas become clear. Sri Aurobindo: That’s good! You have an opening there. But things which become clear, are they practical or intellectual matters? Anilbaran: They are of both types. They are intellectual: for instance, when I was writing an article expounding the relation between the Sankhya and the Gita, many points became clear during my meditation. They are practical: such as, when this morning it became clear to me that the way our national leaders are now acting is leading them to their own degeneration and also impeding our nation’s progress. Sri Aurobindo: Why this degeneration? Anilbaran: Degeneration, because they fail to contact the higher forces and, in consequence, they are possessed by all sorts of lower forces. Sri Aurobindo: Can everybody contact the higher forces? No, not indeed; but they submit themselves to a discipline and this brings them success. Those in our country who enter into the field of work, value their own intelligence and egoism so highly that they fail to work together in harmony. They get entangled in all sorts of personal conflicts and bickerings. It is, of course, not true that countries like England are free from such failings. But they possess a strength which helps them to control such lower movements. Turkey, Japan do great work because they can keep under control their little personal selfishness, egoism, jealousy, etc. when they get down to work. To make a revolution is not in the grain of our people’s nature. They have no discipline. They cannot control their egoism and other failings, they cannot maintain secrecy. They seek only to create some sensation and in the process bring about their own ruin. As a result of this lack of discipline they hasten their own degeneration and spoil the work as well. Your assessment in this regard is correct: such an activity does bring about degeneration. And then? Anilbaran: Since I could not control these mental activities I mentioned earlier, I had thought of stopping entirely all studies and writings. For a few days I did not do any writing or reading work and spent the whole day quietly doing nothing. But that did not seem to help much. Sri Aurobindo: How can it help? In the early stages some work is necessary. An active mind needs an outlet. If it stops by itself from within, well and good; otherwise one should not try to stop this by force. You have an inclination for clarity. All kinds of indications will come from above and whatever you do must be referred to the Above. It will not do to depend on the mind alone. When initiative, guidance etc. will come down from above, then the thing begins; the next step will be to change the Adhara. Thus to act under the guidance coming from above, this is one side of the sadhana, the dynamic side. The other one is the discrimination between the Purusha and the Prakriti. The Purusha will calmly observe, give sanction, choose, but will realise that all this does not belong to him — all these are outside him. This is the static side of the sadhana. These two aspects constitute the basis of Yoga. Anilbaran: I perceive that the dynamic side of sadhana has begun in me. Sri Aurobindo: That is natural, because you are dynamic by nature. It is for this reason that I hesitated to draw you to this path. The Karmayoga of the Gita would have suited you better. That is your svadharma [The true law of one’s own being and action]. You have however within you an inclination towards completeness. Anilbaran: Yes, I can feel it. Sri Aurobindo: You have a strong active nature. And this in you is a point of strength. If you can mould it rightly this will become a very great strength. On the other hand, this too is your weak point — a hindrance in sadhana. While doing work if the mind continues to be active let it be so, but there must be at the same time a capacity for silence. While doing sadhana you must quieten your mind and keep awake the Purusha consciousness behind all your activities. Anilbaran: How can one acquire this silent Purusha consciousness? Sri Aurobindo: That is what constitutes sadhana. There are many who experience this inner silence when they stand before nature. Does this ever happen to you? Sri Aurobindo: How do you feel then? Anilbaran: It all the more increases my mental activity. Anilbaran: But one thing I have gained: I can fairly watch what goes on within me. Sri Aurobindo: With which part do you watch? Surely with the mind? That won’t do. It is the silent Purusha within who must watch all. Anilbaran: The activity of the mind is getting reduced. And I can see well that I am gradually making some progress. But here we have an isolated atmosphere. But once I go outside this atmosphere, everything will get muddled, I fear. Sri Aurobindo: That is very true. One must have first of all a solid foundation. Sri Aurobindo: The intuitions and impressions that you receive in you, do they come from inside or outside? Anilbaran: I feel that they come from above. Sri Aurobindo: The experience of the Purusha which you get, do you feel it inside you or above you? It enters you from above? Anilbaran: I feel it inside me. Sri Aurobindo: Good. Make the dwelling clean for it. Anilbaran: I can feel the silence in mountainous scenes, but I can’t feel the same in the restlessness of the sea. Sri Aurobindo: In the middle of an ocean on board a ship, one can get a sense of vastness. Anilbaran: If one should stop all mental activities during the meditation should one stop all thinking also? Say, about the relation between the Purusha and the Prakriti, attributes of the Purusha, etc.? Sri Aurobindo: One may have an experience, a perception of these things, but one should not indulge an intellectual thinking or mental debate on such issues. In the normal play of our mind there are all sorts of perversions; hence the need to stop all these things and inculcate right thinking, right willing — in other words, Truth must be established. And, in order to possess the Truth, the plays of the lower nature must be stopped. The Purusha should assume at all times the attitude of a giver of sanction while rejecting the lower movements and accepting only truth-movements. Anilbaran: The Gita says: ātmasamstham manah krtvā…chintayet [Chapter VI, Verse 25] what does this mean? Sri Aurobindo: The mind is running on all sides to think about many things, —what we call thoughts coming from outside. We must withdraw the mind from these distractions and make it abide in the self. Thus guarding the peace within we shall have to do the work without. Now, what the Gita has not mentioned but what we say is this: the Truth-power must be brought down from above into that state of peace, and this higher power — Parashakti — will directly guide the vehicle—ādhāra—and transform it. After having stopped the lower activities of the mind, it must be made receptive; and, instead of weaving all kinds of empty and idle thoughts, the mind should receive intuitions from above. The reason why we recommend the suspension of external activities is that otherwise the mind cannot abandon its habitual activities and old movements and accept truth-movements so long as it is engaged in such activities. This is why isolation is necessary. Anilbaran: Does the higher Truth work in us only when we are established in the silent consciousness? and not at other times? Sri Aurobindo: The higher Truth is all the time working in us but through the lower power — Aparashakti. It is when we become conscious of the play of this higher Power then only yoga begins. Not in the state of unconsciousness, but in full awareness when the higher Power will descend into and direct us, then only the yogic life will begin. Anilbaran: The lower distractions are less and I feel peace quite well. Will this be lasting? Sri Aurobindo: It will be lasting if you want it to be so. It is not that the distractions will never recur; but you must go on rejecting them and thus the state of peace will be established. Anilbaran: I find an insincerity in me. Sri Aurobindo: What sort of insincerity? Anilbaran: Whatever work I do, that alone seems to me the real life. But so long as I am engaged in meditation or practise yoga that appears as a formal affair. I do not find much interest in it. Sri Aurobindo: Do you feel yourself pulled to any particular type of work? Anilbaran: No, whatever work I take in hand, that alone seems to me to be real, and my mind gets engrossed in it alone and I have to force myself in order to pull it out of the work. And it does not succeed. Even during meditations the mind keeps on ruminating on its own ideas and plans. Sri Aurobindo: The desire of your vital being is towards work. And the vital being won’t find any interest in yoga so long as you do not have any experience of the higher and fuller life that is in yoga. As long as this experience is not there, the vital being will not find any interest. If the mind has sufficient strength, then it can progressively make the vital being seek it. Otherwise, the progress will be very slow. In order to satisfy the vital being, it must be offered some activity, and at the same time the mind should be slowly made to take interest in yoga. For this reason, I have told you many times that I hesitated to call you to this yoga. Your mind has some clearness and capacity for right thinking; it opens towards the heights, but for its own sake, — to receive light from above for its own activity. But our yoga demands surrender; the entire being has to be put in the hands of the higher force and allow itself to be transformed. For this an opening is needed. Anilbaran: I have only this much of opening that I have no doubts in me. Whenever I refer any of my problems to the power above, I receive a satisfactory solution. Sri Aurobindo: But you make this reference for the benefit of your mind. Your vital being has so long been accustomed to work and had considered that alone to be yoga. Now it does not find it easy to turn to a new direction. But if, with the insistence of the mind you can make it seek for it, then you may succeed. But what about the quiet detachment you were experiencing? Anilbaran: That is not getting sufficiently settled. If I can live in the quietness of some mountainous surroundings, I may perhaps experience peace. What do you say? Sri Aurobindo: There is no certainty about that. Anilbaran: Quite so! The vital may very well start hungering even there. Sri Aurobindo: Yes, it will think, what’s all this for! About people who come here, their difficulties, their being’s true nature come out in the open. This is what is happening in your case. Just now you mentioned that your problems are getting solved. Well, this too is a problem. Anilbaran: My reference to the light above makes me see this clearly that my vital being is not finding any interest in yoga. Sri Aurobindo: This indeed is the real problem. But what is the solution? Anilbaran: Well, even before the solution is found, it is important to understand the problem. I have now rightly understood the problem. So far I could not detect in such a clear way the pull of my vital being. Now that I have realized the problem, I hope that I shall surely find a solution. Sri Aurobindo: Yes, try and see what solution you find. Anilbaran: I have found a rough solution to the problem. Sri Aurobindo: What is it? Anilbaran: I was telling you that my vital being is not taking any interest in the yogic life, but that is not correct; for I am not feeling any great uneasiness because I have left the active life behind to enter into this path of yoga. Sri Aurobindo: This does not mean much, for it may be that your vital being has submitted itself to your mind. It may say, “let’s see what he does!” Your vital being had agreed to your previous yogic life. This you must feel within you, for upon this depends your future yogic life. If the vital being refuses to give consent, then later on it may cause trouble. Just now you are a mental man, your mind has illumination, harmony; you govern everything with your mind but you have not been able to open yourself to the Supermind which is above. Do you have just an impression that the vital being has consented, are you simply making a conjecture or do you feel it? Anilbaran: I do feel that my vital being has also give consent. Sri Aurobindo: The vital being may have responded within you. But in the earlier stages of our yoga there is nothing much in which the vital being can be interested. Anilbaran: I feel that things are getting organized within me. I can understand that the movements of the mind and the vital are coming from outside. It is only when my psychic being takes interest in them that these movements continue. Sri Aurobindo: The psychic being takes interest! What you call the psychic being is the mind of the vital. The heart is the seat of this mind. And this mind is the essence of the senses. It receives things from outside, acts upon things that are outside — knows, gives consent, takes interest in them. But this mind cannot be the Ishwara, but it is the knower, the giver of the consent. Above this mind is the Buddhi. This Buddhi has two aspects: one is understanding, the other is will or play of the dynamic mind. Above this is the higher mind which organizes all these. This higher mind is the instrument of the Supermind. The Supermind organizes this higher mind and intuitivizes it. There are other levels of the mind. There is the physical mind which is mechanical but the awareness which is the essential character (dharma) of the mind is also to some extent present there. The mind has these four levels: physical, vital, buddhi, higher mind. The Supermind is far above these. The psychic being and the mental being, Manomaya Purusha, are not the same. The psychic being is behind the mind, it is what the Westerners call the soul. It takes interest in the movements of the mind and the vital only when there is a harmony between these movements and the truth above. The knowledge of the psychic being is deeper. Anilbaran: The solution that I have found is this: the condition of my vital being is such that if I get absorbed in external activities, I shall be unable to do any yoga. Therefore for the time being I am keeping myself occupied with studies, and in this way I am advancing slowly. I think I should settle here permanently. But I should like to go back once to my place during the Puja. Sri Aurobindo: Have you been able to make arrangements for that? Anilbaran: No, I have not yet been able to make any arrangements. But I trust that some arrangements will be made. Sri Aurobindo: Well, see to it! Your solution has been the right solution. Sri Aurobindo: But the play of the vital being is not of one kind only. As I was telling you yesterday, there are several personalities within this vital being. Sri Aurobindo: The yogin becomes aware in part of the action of the supramental power organizing the lower vehicle (ādhāra). A part of it remains behind the veil and prepares itself. Anilbaran: X and some others of Bengal have been nourishing a hurt feeling against you. Sri Aurobindo: I am quite indifferent to that. Hurt for what? Because I have pulled you? Anilbaran: No, it is because you are doing nothing for the country. Sri Aurobindo: How do they know that I’m doing nothing? Anilbaran: They see that you are not doing anything. Sri Aurobindo: Rather I see that they are not doing anything. Anilbaran: If people fail to recognize it, then, what’s the use of such work? Sri Aurobindo: I would have been happy if instead of beating their drums while doing nothing, they could have done some work quietly without any propaganda. Anilbaran: Some propaganda is necessary. Sri Aurobindo: Propaganda is necessary only for the sake of money! Anilbaran: The Hathayoga speaks of three different nādis [channels of nerve], Ida, Pingala and Sushumna. Do they correspond to something physiological or they are psychical? Anilbaran: Some people claim that physiological operations help in various ways to attain brahmajnāna [the knowledge of the Brahman]. Sri Aurobindo: They make Brahman depend on nerves? These processes are often dangerous to the body — e.g. even leading to phthisis. Anilbaran: What is the use of Pranayama? Sri Aurobindo: It shakes you up. Anilbaran: I observe that if, instead of keeping the mind just blank during meditation, I take the help of a symbol such as my entire being remaining turned above towards the Sun of Knowledge (Vijnana Surya), then it becomes easy to quieten the mind. Sri Aurobindo: Have you tried it? Sri Aurobindo: There is no objection to that. Why make the mind blank? There should be an idea of the higher truth, light and power within. Anilbaran: Isn’t that idea also a symbol? When we look upward from below, isn’t that a symbol too? Sri Aurobindo: Yes, of course, it is a symbol, but a right symbol. The experience will come — even the experience of the Sun of Knowledge (Vijnana Surya). Anilbaran: I am also getting some experience of the Purusha consciousness. Anilbaran: I feel myself to be a vast infinite reality, having no wants of its own; it is complete in itself. The movements of the mind seem to lie in one corner of that infinite being. Sri Aurobindo: Yes, this Purusha consciousness must be maintained; otherwise the calm will not last. The knocks and blows that come from outside cannot disturb one, if this Purusha consciousness remains at the back. Anilbaran: I have another feeling. As a result of my effort to turn the gaze within, although as yet no positive gains have been made, still, as a result of that sincere effort it appears to me that the plays of the external life are less real and that there is a higher reality within. Also I clearly perceive the opening of the dynamic side in me. At times a substance, at other times a complete form comes down in me from above. And in this way I compose my essays and write letters. Sri Aurobindo: From where do they come? From above? Anilbaran: Yes, I perceive that they come from above — very clear and definite. Sri Aurobindo: Yes, such definite things will come down from above. They come from different levels — higher mind, intuitivized mind, or from a still higher level, but they are not intellectual. Anilbaran: During the meditation my mind remains quieter than before. Previously I used to feel that the mind was near the heart centre and the higher Truth was in the heart centre. Now I have a feeling that the mind is in the head and the higher Truth is outside, above the head. Sri Aurobindo: The mind of an ordinary man is truly near the heart. Those who have advanced rise to the mind which is in the head, — they have the play of their mental movements in the head itself. But all these are inside the body; man is, as it were, shut up in a box, his entire consciousness is confined within the organism. This imprisonment has to be undone. Outside and above the mind there is the play of a consciousness which is lighted by the higher Truth, but man is not conscious of it and of that he has to be conscious. Anilbaran: The other day I saw something like a vision — may be that was only an imagination. There was over my head something like a thick lid. All of a sudden a small round hole was made in it (like that of a coin), and through this hole there came upon me a bright golden light. I was taken aback. Sri Aurobindo: Yes, perhaps not exactly like this, but similar visions are seen by many. It is said in the Isha Upanishad as if a hole were being bored from above through this lid. What lies above this lid is not known to man. This lid had to be pierced. The Upanishad says: hiranmayena pātrena apihitam. Anilbaran: Since the day I had that vision, I have almost a constant feeling that a light was playing over my head. Because I feel it to be so real, it has become somewhat easier for me to concentrate above. Before this, only the external physical world seemed to be real. Sri Aurobindo: One can see light above the head; that indicates a consciousness outside the body. But that itself is not the Truth-Consciousness or Vijnana. But much light descending from there illumines this consciousness. Anilbaran: What is the relation between the Purusha consciousness and the supramental consciousness? Sri Aurobindo: The consciousness of the supreme Purusha remains above, but in the mind there may be a Purusha consciousness which they call the cosmic consciousness — it is wide, all-pervading, one. Outside this goes on the play of Prakriti. Anilbaran: I get the experience of this consciousness, but within the mind. Sri Aurobindo: Even if it is in the mind, it is a spiritual consciousness. Anilbaran: I can enter this consciousness at will. Then no outside distractions or attractions can affect me. I feel quite at peace. I have another feeling. Earlier I had an impression that I was an undivided simple being, but now I perceive that my being is very complex, that I can stay at different planes of consciousness. From what you see now, I hope, I have nothing to be disheartened about? Sri Aurobindo: No, you have rather begun well. You will have it. Anilbaran: I have a strong conviction that I shall get the thing. Sri Aurobindo: Yes, you will have it. Anilbaran: What you were saying to us yesterday about our past lives, was it all a joke? Or, was it said in seriousness? Sri Aurobindo: No, it was not a joke. Anilbaran: What about my past life? Sri Aurobindo: That I have not yet seen. Anilbaran: Does it help if one can know one’s past life? Sri Aurobindo: Yes, it does help much to know what elements are there. Anilbaran: That one may surely know from within. Sri Aurobindo: Yes, of course. Anilbaran: I feel peace within but this peace has not established itself on my surface mind and life. I can never get rid of the restlessness of my mind. The play of idle thoughts goes on in full vigour. Sri Aurobindo: The fundamental peace is being established in you and what goes on on the surface is the habitual play of the superficial mind. It will take time for this play to cease. Anilbaran: Yes, I can well understand it and I am not impatient about it. Yet, I feel somewhat sad that I still cannot stop these plays of the superficial mind. This does not however disturb my inner being. Sri Aurobindo: What about the light that was descending in you from above? Anilbaran: I do not see any visions of it. But I observe in me a great deal of intellectual clarity. And when I settle down to write without any thoughts of my own, thoughts do come pouring down upon me from above. I put no effort but what comes out seems to be quite satisfactory. Sri Aurobindo: All these are the results of the play of that light which you experienced as a hole of the size of a coin. You’ll have to widen this play; the mind has to be kept open to the higher consciousness. Anilbaran: The vital forces are all lying in wait as it were to enter at the slightest opportunity. I have to be extremely vigilant. Sri Aurobindo: Yes, it will be so until the power from above comes down and establishes itself in the vital plane. Anilbaran: I suppose I’ll have to control them with the mind at present. Sri Aurobindo: Yes, but when the higher consciousness will descend into the mind, then one will have to transfer this control from the mind to the overhead centre. All the thinking will take place in the consciousness above. Anilbaran: At times I get glimpses of this thinking in the higher consciousness; at these moments comes a consciousness of mastery. Sri Aurobindo: That is what is known as cosmic consciousness. Anilbaran: Another thing which I quite realize is that behind the mental, the vital and the physical beings there is a psychical being from where rises an aspiration towards the heights. But I cannot locate the positions of these outer beings. The mind is within the head but where exactly is the seat of the vital? Sri Aurobindo (with a smile): The navel region is the centre of the vital. It is from here that the movements of the vital rise upward. Above the navel and behind the chest is the centre of the play of emotions and below this takes place the play of the physical. Mulādhāra is the base of the physical. In between the Mulādhāra and the navel, there is another centre of the vital. Anilbaran: I see a play of light above. But is it because I think about it? Sri Aurobindo (with a smile): No. Anilbaran: What should I do about those idle thoughts that go on when I sit for meditation? Sri Aurobindo: Do these thoughts go on outside and you see them as such? Anilbaran: No, I get absorbed in those thoughts. After some time I wake up and think: what is all this happening? Once again I quieten the mind and turn it upward. Sri Aurobindo: This habitual play will continue at present. But all these must be kept outside. This awakening of the mind and self-control have to be done faster. Anilbaran: I have nothing much to say today. But last night I had a vision — the sun over my head, very vivid. Sri Aurobindo: Was the light penetrating inside or was it spreading outside? Anilbaran: It was spreading outside over the head. Sri Aurobindo: You have seen it alright. This is what the Yogis called brahmajyoti. Anilbaran: Are these not illusions of the mind? Sri Aurobindo (with a smile): This is your European concept. The mental images are not so vivid. You have seen it aright. Anilbaran: Let me tell you about my smoking. I had left cigarette and tobacco four years back. The other day I saw in the notebook of Purani that you had said that the use of tobacco etc. inhibits the activity of the tamasic centres. To test this, these few days I have been smoking cigarettes. Sri Aurobindo: In order to explain why the ordinary Sadhus and Yogis take to tobacco and gānja [an intoxicant], I said that these cause stimulation of the physical brain. But these have reactions. And to stimulate the brain thus is not the proper process. Anilbaran: After I smoked a cigarette at night, the very next morning I had the vision of a hole of a coin’s size being made on the covering of my head. Sri Aurobindo (with a smile): You thought it was the result of your smoking cigarettes? Anilbaran: So it does not help? Anilbaran: On the 15th August, since the morning I began to feel a sort of profound peace. The experience of light above the head became real. During the afternoon meditation the aspiration within blazed up. All these days I had been as it were in the outskirts of the Yoga; now I am feeling quite within it. Sri Aurobindo: The light which you see above — does it descend within? Anilbaran: No. But that it is possible to live in that light above has become clear to me. I cannot yet live there but that has to be worked out. I have seen another light above which is not whitish but red and is not limited like the sun but something infinite. I have made an analysis of the play of sexual desire in me. I do not know if it is correct. Anilbaran: There is no hankering in me for the satisfaction of this desire. Generally speaking, if I stay away from its objects, I do not feel any desire, but if some vital wave comes from outside, if the vital wave of someone else affects me, then there is something in me which readily responds and then I have to apply the mental control. Otherwise by themselves no such desires disturb me. I have desire in me for satisfactions in the mental field. Anilbaran: My mind is naturally attracted towards studies, mental constructions and the satisfaction one derives from them. Sri Aurobindo: The response that comes from your vital being — does it persist? Does your mind keep spinning thoughts about these later on — all sorts of imaginations? Anilbaran: No. If its objects are not in front of me I feel no disturbances. Sri Aurobindo: That shows that it is only in your superficial being, not in the central. Anilbaran: Today I have received a letter from home — my wife is seriously ill.
Sri Aurobindo: Ill? What kind of illness? Anilbaran: For a long time she has been suffering from indigestion and stomach ailments. Now she is passing loose motions, also vomiting. She has swelled and feels extremely weak — such a weakness she has never experienced before. My mother writes, “I have informed you and now you do what you like.” Indirectly she asks me to go back. I can’t decide what I should do. Sri Aurobindo: One must not go. Such obstacles will surely come. If one has to go like this, how can one do Yoga! You’ll have to be severe — understand? Anilbaran: I do not have so much pull of sympathy as of a sense of duty which gives me the trouble. That too I have been practising long to control. Some other obstacles are also showing up. The demand of money is increasing. Anilbaran: All these days I somehow managed to keep myself within a budget. I could somehow manage to pull on. But now again I shall have to bear the expenses of my nephew’s studies. I can very well see that all kinds of obstacles are coming on the way. Sri Aurobindo: Yes, they will come to see if they can find anything responding in you. Anilbaran: Please keep an eye on me. Anilbaran: I was expecting this news everyday. I felt it strongly that my wife’s death was very certain. Sri Aurobindo: Yes in such a state…it was no use for her to remain alive. It has been rather good for her. Sri Aurobindo: What you saw — was it temporary? Anilbaran: Yes, it was a sudden glimpse and then it all faded away. But I have been so much impressed that it has left a constant memory in me. That world of light above appears to be more real than this earth. Earlier I thought it to be my mental imagination but now this is more real than anything on this earth. Sri Aurobindo: It is the Effulgent Heaven of the Veda. Anilbaran: I feel like rising to that region and dwelling there. Anilbaran: What about my going back home? It has been decided before that I should return home in October. I have some work there. Anilbaran: Shall I go a few days earlier? Sri Aurobindo (with a smile): What will you do by going early? Anilbaran: No, nothing to do. Well then, I would rather go in October. Anilbaran: The night before I saw an interesting dream. Sri Aurobindo: What was it? Anilbaran: There was in the sky a crescent moon of the third day of the bright fortnight. My son pointed out to me the eclipse occurring on its convex side. I saw another dream. The sun was setting beautifully, everybody was asking me to see it but I was unable to see it. Then at the very last moment when I was able to see, the sun had begun to sink fast. What is the difference between such dreams and the visions one sees during the meditation? Sri Aurobindo: The dreams are something in the mind. But one sees something real in a vision — may be something symbolical. Anilbaran: Can dreams in sleep be symbolical? Sri Aurobindo: They can be but to discern their significance is very difficult. What you had seen belonged to the vital plane. Anilbaran: He has taken a mantra from a guru and is engaged in some sort of sadhana. Sri Aurobindo: What sort of sadhana? Anilbaran: That I don’t know. He is going through a lot of struggle in business. He was a contractor but now he has installed a rice mill. At times he gets depressed due to all sorts of difficulties. He gets encouragement from conversations with me. He has an aspiration for a higher life. Sri Aurobindo: Well, I shall see. Anilbaran: Peace is getting established within. During the meditation it comes down in waves from above to the soles of the feet. Aspiration and consecration appear quite real. That the power above has accepted me, this too I realise. But the troubles created by the mind are not getting solved. When I sit for meditation all sorts of thoughts invade and spoil everything. Sri Aurobindo: What sorts of thoughts? Anilbaran: Habitual thoughts. Perhaps what I have done or seen at one time rises up in the mind and then the whole game of association starts. Sri Aurobindo: The experiences of your past life which are stored within come up to the surface to be rejected. By rejecting all these by and by the inside will have to be cleansed. What about the aspiration you feel? Anilbaran: I want to rise into the light above. Sri Aurobindo: That is a wrong process. Now you cannot rise there. It will take a long time. You will have to bring down the strong power from above and prepare the vessel. At present you must prepare the mind — the entire play will take place within the mind. Just now the power will not descend into the vital and the physical. Anilbaran: What is the process of bringing down the power from above? How to bring it down? Sri Aurobindo: How will you bring it down? The power will descend by itself. You will only have to surrender to it. Anilbaran: From time to time I can feel the pressure coming from above. Sri Aurobindo: Yes, the power is willing to descend but you are making an effort to rise above and that way the power will not descend. Just as peace will descend, so also the light and power will descend and transform your vessel. Anilbaran: Sometimes I see a shower of rays as it were, white rays, coming down from the lights above. Sri Aurobindo: Very well; it does come down like that. Anilbaran: But I have a feeling that all this is bogus. I feel like this because I tend to see it simply as mental imagination. Sri Aurobindo: You do have such intellectual obstacles. To doubt the experience is to discourage it. Let it be developed, see what is in it. How can it help to always doubt it? Anilbaran: My mental doubts are great obstacles. Since I am near you, a word or two from you demolishes these doubts. Sometimes I sense the play of intuition in the mind. The truth descends from above and all problems get solved. Sri Aurobindo: That is not sufficient. Sometimes the glimpses will come, but only when the light from above will descend and enlighten the mind, you will have the full knowledge. You will have to live in that. Sri Aurobindo: Yes, now in the mind and later on having risen above the mind you will be able to live in the higher knowledge. Before this, only from time to time you can rise there. Anilbaran: For this a long period of practice is required. Sri Aurobindo: Yes, but now it may not take much time. If you had come ten years earlier, what progress then you could make, the same you can do now much faster. Anilbaran: But I have no impatience in me. I have now no doubt about the path and I will go on patiently as long as the thing is not achieved. Sri Aurobindo: That is very good. * Note: The word ‘block’ is written in English in Anilbaran’s notebook. ‘Members of the household would gather everyday at the fixed time with some sense of expectancy and start chatting in low tones. Sri Aurobindo used to come last and it was after his coming that the session would really commence. ‘He came dressed as usual in dhoti, part of which was used by him to cover the upper part of his body. Very rarely he came out with chaddar or shawl and then it was “in deference to the climate” as he sometimes put it. At times for minutes he would be gazing at the sky from a small opening at the top of the grass-curtains that covered the verandah of the upstairs in No. 9 Rue de la Marine. How much were these sittings dependent on him may be gathered from the fact that there were days when more than three-fourths of the time passed in complete silence without any outer suggestion from him, or there was only an abrupt “Yes” or “No” to all attempts at drawing him out in conversation. And even when he participated in the talk one always felt that his voice was that of one who does not let his whole being flow into his words; there was a reserve and what was left unsaid was perhaps more than what was spoken. What was spoken was what he felt necessary to speak. These diary notes are the best record of sadhana of the ‘brightest period in the history of the Ashram’, to quote the words of Sri Aurobindo. A series of interviews in which Sri Aurobindo discusses the practice of Yoga with Anilbaran Roy (1890—1974). Here is a brief biography of Anilbaran Roy. Anilbaran Roy (3.7.1890—3.11.1974) was born in the village of Guir in the district of Burdwan in Bengal to Nabakumar Roy and Chandibala Devi. He was a student of Scottish Church College and St. Xavier’s College of Kolkata. He obtained his M.A. degree in English and Philosophy and Bachelor of Law degree from the Calcutta University. He was a remarkable scholar who excelled not only in subjects like Physics and Mathematics but also in languages like Sanskrit, French and German. He worked as a professor in Hetampur College of Birbhum and Christian College of Bankura. In 1921 he resigned from his services and joined the Non-Cooperation Movement started by Mahatma Gandhi. He was also elected as the Secretary of the Bengal Provincial Congress Committee. In 1924 he was in charge of the Corporation Elections which was initiated under the New Law. The aforesaid election elevated Chittaranjan Das and Subhash Chandra Bose to the posts of Mayor and Chief Executive respectively. He also played a pivotal role in organizing the Swaraj Party established by Chittaranjan Das and Pandit Motilal Nehru. He was introduced to Sri Aurobindo’s works during the peak of his political career. 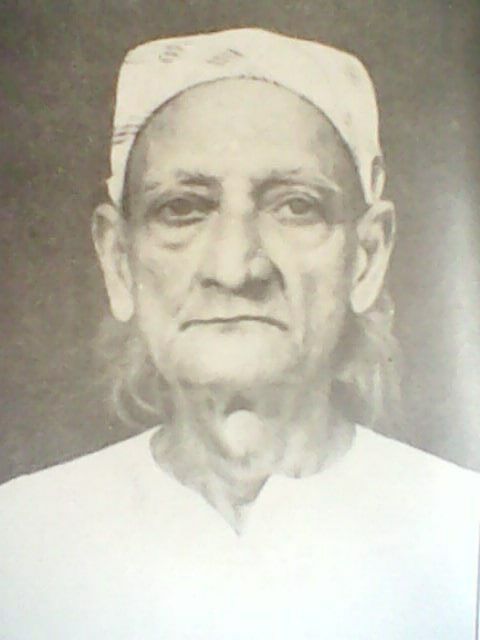 In 1924 he was arrested and imprisoned at the Alipore Central Jail and Berhampore Central Jail respectively. After his release from prison in 1926 he left for Pondicherry following the instruction of Sri Aurobindo and spent 40 years in Sri Aurobindo Ashram during which he engrossed himself in the Integral Yoga. He was acclaimed as the best exponent of the Gita as interpreted by Sri Aurobindo. ‘The Message of the Gita’ edited by him was taught at the University of Cambridge. In 1935 as a mark of protest against a defamatory book penned by Miss Mayo he wrote the book ‘Mother India’ with Sri Aurobindo’s approval. His other notable works include ‘Srimad Bhagavat Gita’, ‘Gitar Bani’, ‘Purushottam Sri Aurobindo’, ‘Sri Aurobindo O Bartaman Jagat’, ‘Songs from the Soul’, ‘India’s Mission in the World’, ‘Sri Aurobindo and the New Age’, ‘World Crisis’, etc. He also translated Sri Aurobindo’s ‘Essays on the Gita’, ‘Uttarpara Speech’ and ‘Yoga and Its Objects’ into Bengali. In 1966 he returned to Bengal to spread the message of Sri Aurobindo after spending forty years in the Ashram. He worked to abolish the partition of India and unite the nation on the lines of provincial self-government as preached by Sri Aurobindo. He started the publication of a Bengali weekly named ‘Swarnayug’ and an English monthly named ‘Light of India’ and edited both the journals. He also established the ‘Sarva Sewak Sangha’ to spread the teachings of Sri Aurobindo and the Mother. Anilbaran: If people fail to recognize it, then, what’s the use of search work? There is a typo in this sentence. It should be “such work” not “search work”. Thanks for pointing out the typing error. I have rectified it. I can imagine on way in which this typo could have been introduced. It is probable that a Bengali like Anilbaran was dictating the text to a non-Bengali scribe. The first person would have said “such” (saa~ch) and the other person wrote down “search”. I find the conversation with master very illuminating and searching. thanks. pl be postging such nice things. Many thanks dear Anurag for this gem! great help to sadhana. thank you for publishing it. Dear Anurag, this is an absolutely enriching conversation with Sri Aurobindo. To read it in the stillness of the night when all tasks are done, and when one is in the company of one’s own deeper inner being, such an hour is God’s hour. It is like listening to the Master directly. As if He were talking to us, guiding us lovingly n patiently. We have to make the dwelling clean to let the Higher Power work in us. Thank u very much for this nearness with our Lord that u have provided through this light filled interview and other details that u have added.